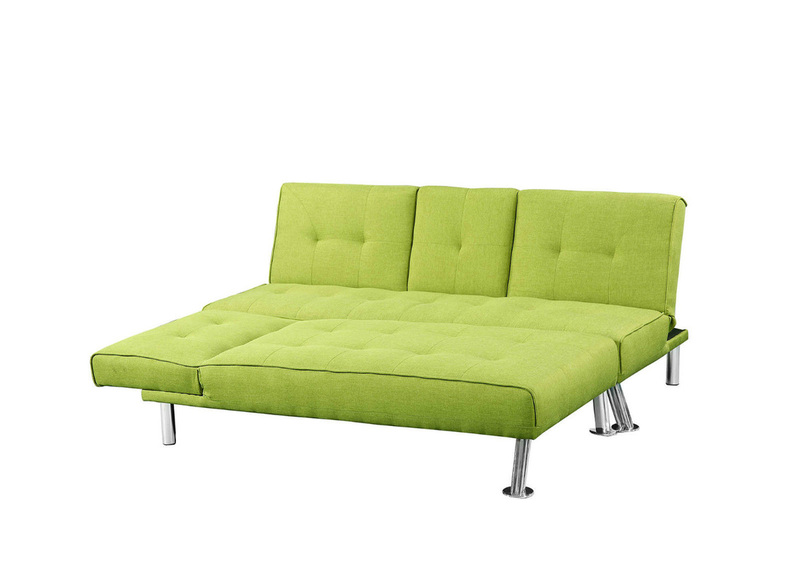 A Modern, Contemporary and very popular fabric upholstered Sofa Bed system by exclusive brand 'Sleep Design'. 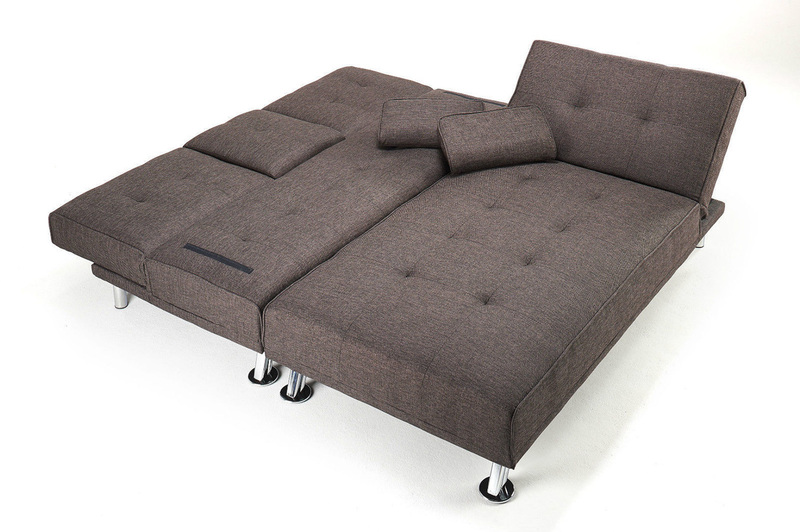 The New York Fabric Sofa Bed system features a very easy click-clack fold down mechanism for instant multi-positions, loose pillows, fold-down coffee table & moveable universal Chaise Longue. 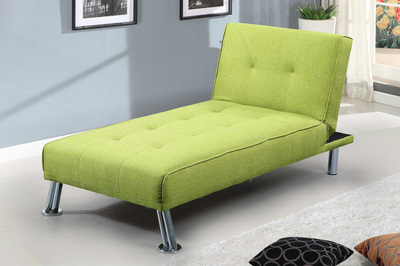 The Chaise Longue can be placed either side of the main Sofa or perhaps separate in another part of the room or house. When all combined this clever system creates a unique 4 seater L Shaped Corner Sofa system & when converted, a good sized double bed, ideal for occasional guests or sleepovers. 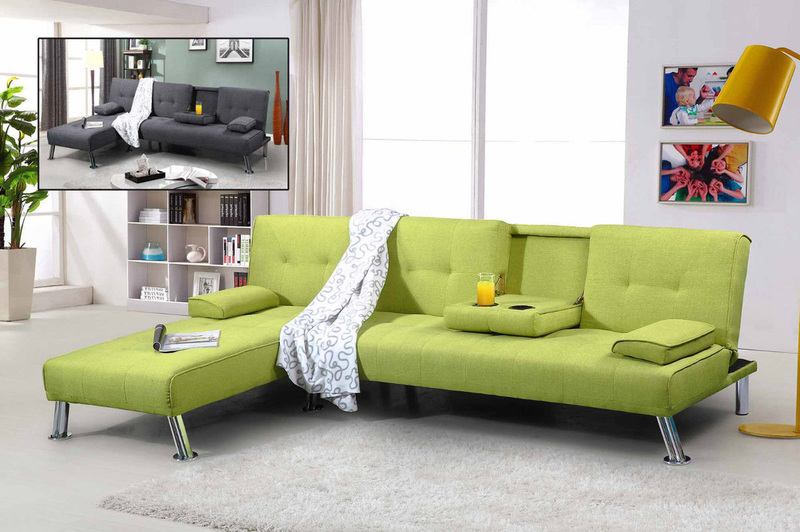 The Chaise Longue & Sofa Bed can also be used as separate seats or beds if required.The total versatility and multi-purpose use of this attractive sofa bed system is a great asset. 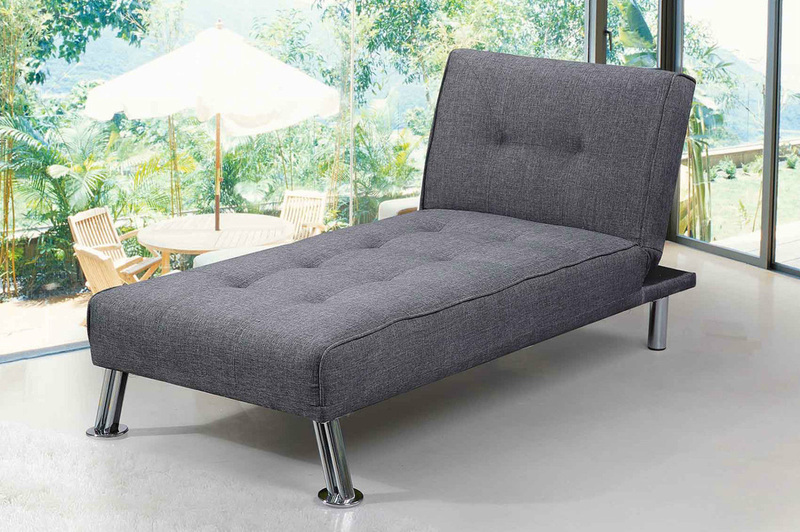 The New York Sofa Bed & New York Chaise Longue can be purchased separately- please see our other listings for information. 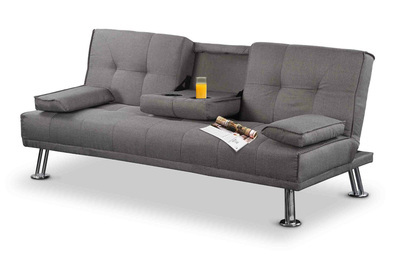 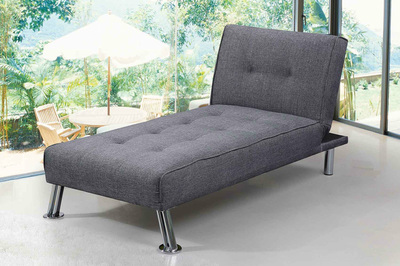 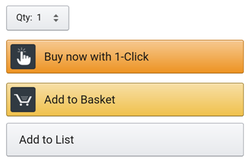 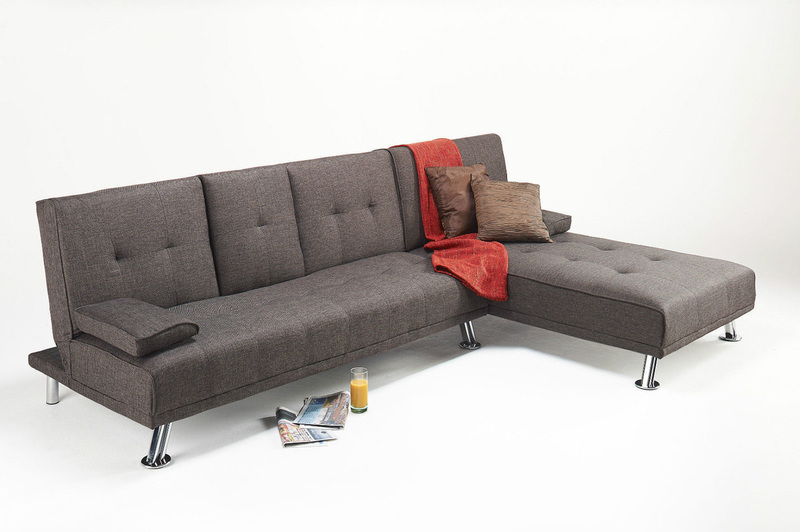 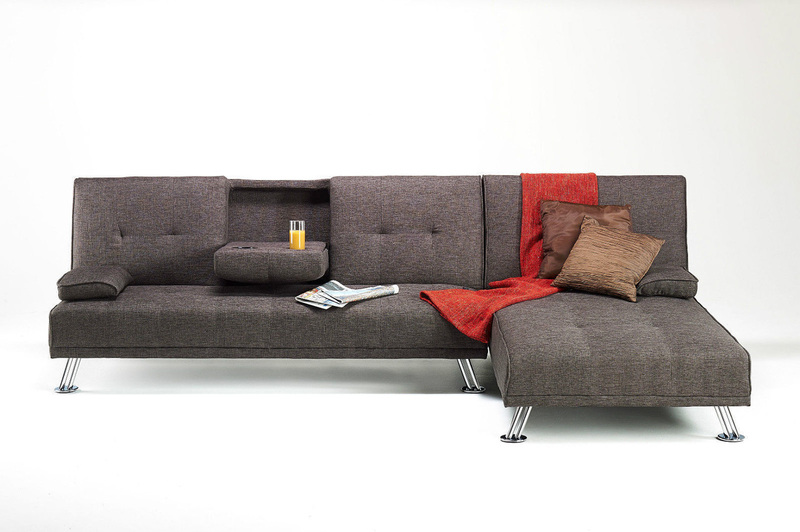 A fantastic sofa bed system & ideal for people of all ages & tastes.